Animal models play an important role in biological / neuroscience research. 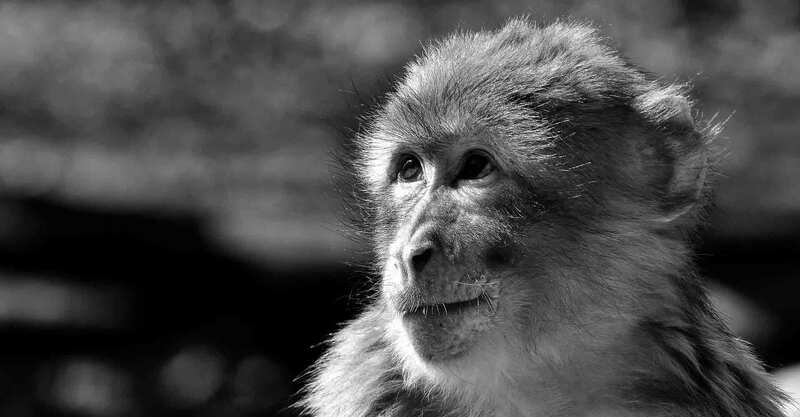 The visual system of non-human primates has a very similar anatomical organization and functional capability to that of humans. 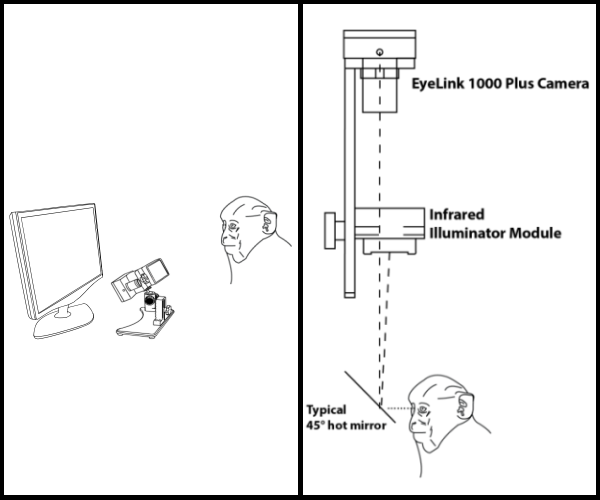 The EyeLink 1000 Plus camera can track the eye position of non-human primates, allowing researchers to record eye movement responses in their experiments without any surgery or alteration of the animal. The high level of precision and high sampling rate make the EyeLink 1000 Plus an ideal video based eye tracking replacement for search coils with easy and distress-free setup and recording. The standard Desktop Mount can be used for non-human primate research with suitable head support. The Primate Mount for the EyeLink 1000 Plus system holds the camera and an infrared illuminator in a compact bracket that is typically affixed to a vertical surface such as a primate chair. An infrared reflecting hot mirror is used to project the viewer’s eye to the camera. This allows accommodation of a wide range of unique viewing setups within very small space requirements. The higher wavelength 940 nm illuminator minimizes the visibility to non-human species. 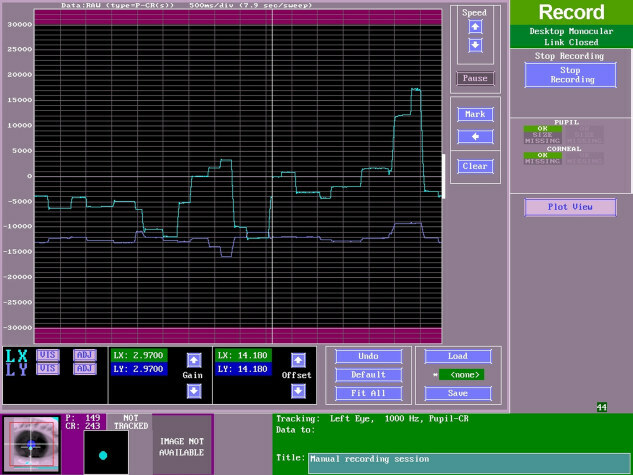 Outputs eye position and pupil size data in either digital format or as an analog voltage (within a programmable range). Real time data plotting with simple gain and offset adjustments for rapid calibration / performance monitoring. Both outputs can be linearly calibrated using the built-in offset and gain adjustments which can be saved and reloaded at a later date, allowing for easy switching between participants.